CHINNERETH! Stop that! You're scaring them! Well, here is our first exhibit. BEHOLD! EEEEEEK!!! 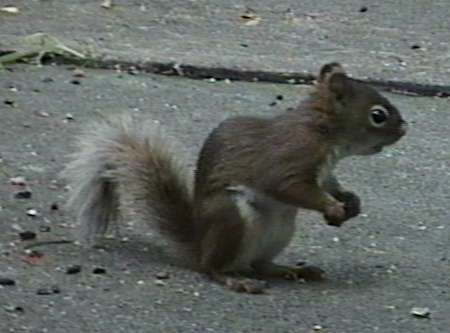 A SQUIRREL! Run before it bites your knees off! Here's our second exhibit. Hang on to your stomachs! YOW we need to provide barf bags for this part of the tour! Exhibit three. A very scary one.